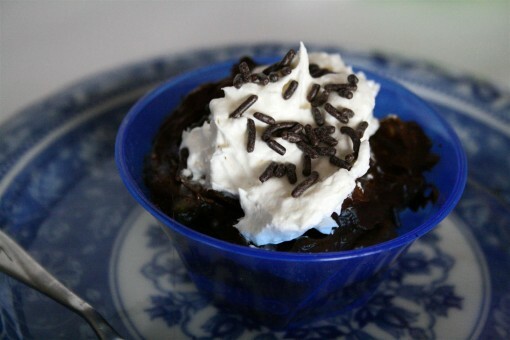 My Experience with Healthy Fats (& Avocado Pudding) was posted on December 12th, 2011 and is filed under Dairy Free, Desserts, Gluten Free, Recipes, Vegan. This entry has 12 comments. You can follow any responses through the RSS 2.0 Comment Feed. But she explained to me that fat is what helps balance the body (hormonally) and if you’re getting your fat from healthy sources your body knows what to do with it. You won’t get fat. Of course, this is taking into account that you’re not eating processed foods, bad fats (hydrogenated, trans fat), or refined sugar. I was still skeptical. Then I talked to one of her receptionists after the appointment. This woman told me that she eats 2-4 tbsp. of butter at every meal! I almost flipped! She was a young 30+, blonde, thin, and very attractive woman (she also eat extremely healthy and doesn’t eat sugar or any processed, refined foods). She told me she couldn’t survive without her butter and she’d never go back to her “old days” of miserable fat-free living. So this last week, I decided to up my healthy fats and see what would happen. So I had butter on my toast (NEVER margarine!). Coconut oil. Whipped cream in my Earl Grey. Olive oil on my salad. Homemade ice-cream (made from Sally Falon’s Nourishing Traditions) with chocolate chips. …And avocado pudding. I had no idea that avocados had 5 grams of protein! Or that one avocado has almost 15 grams of fiber!!! That’s over half of our daily requirement! And it definitely has a lot of that healthy fat (smile). This is a great little nighttime snack for those of us who don’t want to have sugar or carbs after dinner. Both carbs and sugar (even healthy ones like honey or maple syrup) can spike your blood sugar, and before sleep is the worst time for a spike, especially if you’re trying to keep weight off. *You can add a little almond milk if you want it thinned out a little. I like puddings super thick! Blend it all up and top with a little whipped cream. Yummy! Serves 1. NuNaturals just sent me a bunch of their amazing products, so I’ve been enjoying trying them all out. It’s one of the few stevias that doesn’t have that yucky aftertaste that reminds me of licorice (not a fan!). Along with experimenting with more healthy fats in my diet, I really want to lower my sugar intake. NuNaturals makes this so much easier (because I’ll never lose my sweet tooth!). Their stevia is calorie free, sugar free, almost all of their products are organic, and it’s a delicious addition to cookies, smoothies, muffins, breads, and our holiday baking! I’ve been having this lovely-ness with my tea. Vanilla stevia…so nummers! It’s great in coffee or just flavouring plain ole’ water with! Once I run low on the vanilla stevia I’m eager to try the cocoa bean version. Sugar free, calorie free chocolate flavouring that doesn’t have all that wicked aspartame and cancer-causing splenda, yes please! Back to the healthy fat thing….So what happened at the end of the week? Did I gain any weight after all that extra fat? Nope, I didn’t. I was pleasantly surprised. Plus, I don’t think I barely snacked at all. I felt full and satisfied till meals (usually). I’m pretty sure I even had a bit more energy. I’m still in the experimental stage though…so we’ll see how this all goes. I’ll keep you posted! What do you think about a high-fat intake diet? 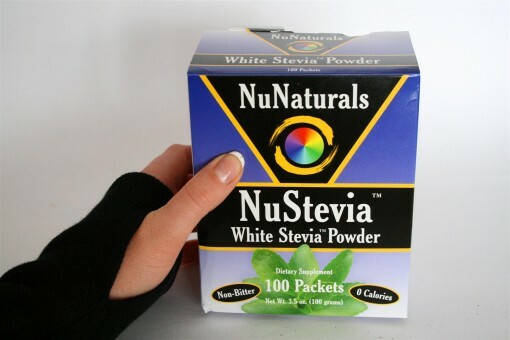 Have you tried NuNaturals stevia? How cool! I’ve tried something like this before! I too have been upping the healthy fats in my diet an have definitely noticed that I can last for up to 6 hours without feeling hunger pains!! Nevertheless, its really hard for me to get past the “fat is bad” hurdle because everyone and everything is telling us to eat no or less fat. What is a naturopath? Sounds interesting! Some people say that you shouldn’t eat a lot of fats when you eat a raw diet, as it is hard on the digestive tract. I beg to differ. I like a good balance of fats, carbs and proteins, and actually eat a lot of avocados, nuts, seeds, etc. I feel better when I do, and my skin looks better, too. I love nut butter and since it’s a great way to get in calories without eating a lot (I don’t like having big meals and feeling stuffed! ),you can bet I eat A LOT of it every day… This way,my fat intake is pretty high,but I never noticed any disadvantages of my diet. I’ve been on a high fat diet (if you can call it that) for a while and feel so much better! I eat tons of nuts and we put butter on everything. After you do it for a while, try having something from a fast food chain. It tastes horrible and makes your body feel sluggish and gross! Love hearing everyone’s thoughts and opinions! I really appreciate the feedback…as I feel like I’m just beginning to learn more about the benefits of consuming “more fats” as opposed to the minimal healthy low-fat opinions I’ve heard for ages! Thanks guys! 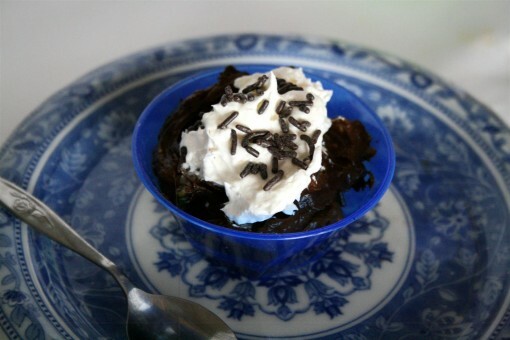 I love chocolate mousse made with avocado! Nobody can tell it’s in there and it’s soooo yum! Like everyone said, it’s sugar, not fat, that makes our insulin levels go haywire — and without insulin levels going haywire, we don’t have weight fluctuations OR cholesterol problems. So enjoy your avocados! But I have to say, this recipe was a disappointment. The pudding was kind of like chocolate latex… which surprised me, because avocados are one of my favorite foods of all time. I wound up using about 4 tablespoons of sweetener for just half a recipe. :-/ Did I do something wrong? I’ve had SO many people gush to me about how great avocados are in chocolate and I want to try again! Madeleine – You’re right! Avocados are great in chocolate, however, in this recipe I didn’t add any liquid sweetener…I wanted this pudding to be as thick as possible. I added NuStevia which is an extremely intense sweetener. This is a super basic avocado pudding recipe I made because I wanted it to be a no-carb, no-sugar (even natural ones like honey or agave) because I didn’t want it spiking blood sugar levels. Normally I use agave nectar, maple syrup, or honey. You can try using those to taste too. I also blended it really well in the blender and sometimes this whips some air into your recipe and makes it fluffier. It was a thick pudding. Hmmm, you shouldn’t have to add that much sweetener for half of the recipe. What kind of sweetener did you use?